George Richard Dibbs was born at Sydney on 12 October 1834, son of John Dibbs and Sophia Elizabeth. On 18 March 1857 he married Anne Maria Robey at St Stephens Camperdown. There were nine daughters and two sons of the marriage. He died at Hunters Hill on 5 August 1904, aged 69 years, leaving an estate valued at 2,225 pounds. Anne Dibbs died on 30 December 1909, aged 74 years. Dibbs became a junior clerk with wine merchants, William Brown & Co in 1848, and then joined his brother in 1854 as commission agents J C Dibbs & Co extending into importing and shipowning. Dibbs was a member of the anti-Incorporationists in Glebe led by Geoffrey Eagar clashing with the pro-municipal forces at the Victoria Inn in Bay Street on 8 April 1859. His brother banker Thomas Dibbs established a Glebe connection when he lived at Enfield House, Pyrmont Bridge Road Glebe from 1857 to 1861 and was a member of Glebe Volunteer Rifles. George Dibbs was the Member of the Legislative Assembly for West Sydney 1874-77, St Leonards 1882-85, Murrumbidgee 1885-94 andTamworth 1894-95. 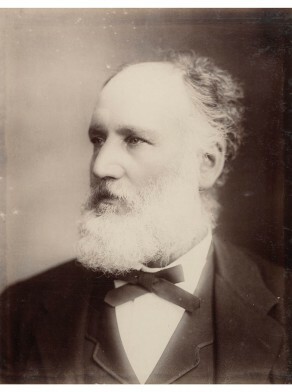 George Dibbs was Premier of NSW in 1885 and 1889. George Dibbs was knighted in 1892. George Dibbs was electedin September 1870 at a by-election caused by the resignation of Edmund Blacket. He became a member of Glebe Council’s finance committee, and with George Wigram Allen, William Munro and George Mansfield prepared and presented a petition to the government in December 1871 regarding ‘the intolerable nuisance’ arising from the discharge of sewage matter into Blackwattle Bay and to take immediate steps to deal with it. Bruce E. Mansfield, ‘Dibbs, Sir George Richard (1834–1904)’, Australian Dictionary of Biography, National Centre of Biography, Australian National University, http://adb.anu.edu.au/biography/dibbs-sir-george-richard-3408/text5179, accessed 27 September 2013.